Will you cut the cord before the end of 2017? FREEDOM. That’s the promise of cord-cutting. Not just trading a big bill for a small bill but cutting out all bills, period. If you want to do that, you’re going to need an antenna. Streaming is great, and just like all of you I stream a lot of video. There’s a lot of worthwhile stuff out there, but if I were to subscribe to all of it I’d pay as much as a cable TV subscription. If that’s worthwhile for you, great! But if you’re interested in really standing on your own two feet, you have to look at a TV antenna. Most people don’t know that antenna TV is free BY LAW and that you can receive dozens of channels with an antenna including a lot that aren’t even on cable! All of it is free and all of it is available now. Getting a TV antenna means supporting your local communites, too. While you may watch your local channels on cable, satellite, or through an app, the commercials you see may have been inserted later by the cable or satellite company. This is a common practice called “insertion” and it’s almost impossible to tell it’s been done, unless the timing is off and you see a tiny little bit of another commercial after the one you’ve watched. If you watch TV using an antenna, all the money for the commercials goes to your local stations and other local businesses. This supports local jobs and local opportunities. When you watch local TV using an antenna, you’re getting the best possible quality. Anything you watch on cable, satellite or streaming is “re-processed” — they take the signal off an antenna and then re-compress it before sending it out. That takes away fine details and you really can tell the difference. An HD signal from an antenna can look much more pleasing than a 4K signal from the internet, because it’s not as compressed, meaning finer details and fewer annoying artifacts. The best thing about antennas is that even if you buy the most expensive one there is, it’s cheaper than what most people pay per month for cable. Buy an antenna that will last you for years and you’ll save your monthly cable bill 60 times over. In five years you could save enough for a decent used car! There’s still time to cut the cord in 2017. 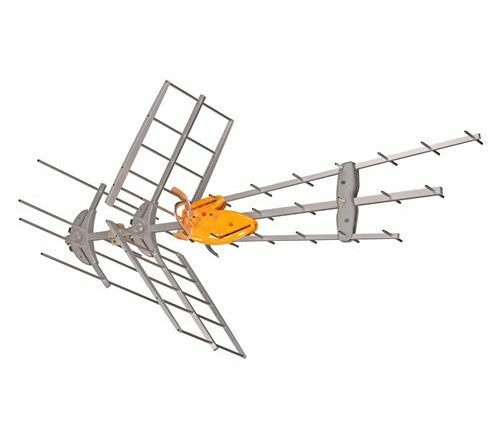 Check out the great selection of antennas at Solid Signal, and if you’re feeling overwhelmed, get a recommendation from our experts who will pick out the perfect antenna for your location. The recommendation is free and there’s no obligation! Think about it, by this time next year you could be sitting on a pile of cash, getting great FREE entertainment and supporting local businesses. What could be wrong about that?